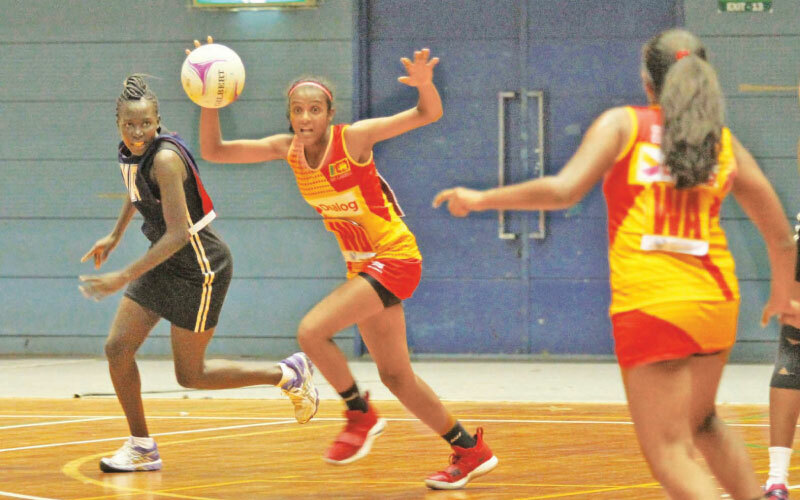 Malaysia defeated Sri Lanka national team by 8 goals (48-39) to enter the final of the Tri Nation Invitation Netball tournament at the Sugathadasa Stadium yesterday. The Lankan girls were in good form in the first two quarters playing extremely well to hold the Malaysians at bay. From the start Lankans got off to a flying start to gain a a slender lead in the first quarter 11-9. The second quarter saw Lankans add 11 more goals while their opponent too managed the same amount to come to equal terms to end the second quarter at 22-all. Malaysians came back strongly in the following quarters adding 12 goals against Sri Lanka’s 8 which gave them a lead of 4 making the tally 30-34. The visitors entered the court for the final session of play with confidence and went on scoring goals at regular intervals adding 14 while the locals were able to collect only 9 during the session to lose the match – a result which sees them out of Friday’s final scheduled at 5.00 p.m. at the same venue. The Lankans failure was mainly due to failing to collect the most needed passes to score. This failure was the key factor especially in the last two sessions of play that led to their defeat. On the other hand the Malaysians capitalized on the Lankans’ mistakes and took advantage to score. The first match between Kenya and Sri Lanka Youth team saw Kenyans score a comfortable 83-23 victory. From the beginning the Lankans failed to cope up with the speed of the Kenyans which was main cause for the defeat. Though Sri Lanka Youth team lost this game they were ahead of the National team’s score against Kenya on the opening day where the Lankans could make only a meager total of 16 against Kenya’s 73.